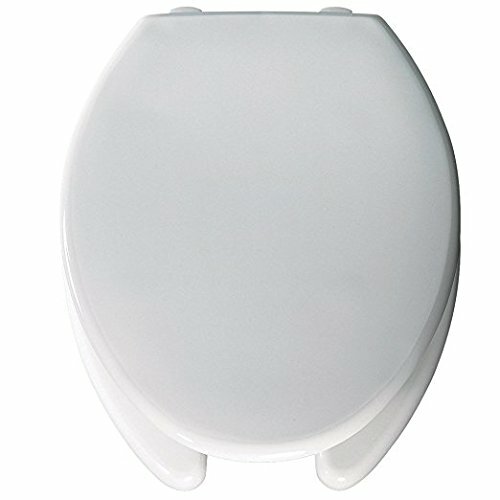 This Bemis open front with cover Medic-Aid toilet seat is ideal for residential and commercial applications. Made from durable plastic, the seat resists chips, wears and stains. The large 2-inch lift hinges and bumpers raise the seat higher for easier use. The STA-TITE Commercial Fastening System cuts installation time by one third and prevents toilet seat loosening. This elongated seat features color-matched bumpers and hinges. If you have any questions about this product by Bemis, contact us by completing and submitting the form below. If you are looking for a specif part number, please include it with your message.